Before moving NASA's James Webb Space Telescope, and to assure that it's kept clean and safe, Webb got a very special wrapping treatment. The wrapping acts as a "mobile clean room," safeguarding the technological marvel from contaminants. All satellites and observatories are created in clean rooms. Clean rooms filter out harmful contaminants, as even a speck of dust or a fingerprint could severely damage the sensitive instruments. So, to move satellites from place to place, as necessary during construction and testing, they need to be placed in a mobile clean room." The mobile clean room, also known as the In-Plant Transporter, looks like a big silver box. Nestled inside, and visible through the translucent wrapping, is the Webb flight spacecraft element, comprised of the spacecraft bus and sunshield. The mobile clean room is, essentially, a giant sealed bag that is purged with clean, dry air injected from pressurized bottles though a flexible tube. A small leak is included in the design so that the container can maintain positive pressure by releasing clean air while blocking air inflow. This same idea is applied to clean tents and clean rooms in buildings, which is evident when we open a door on a clean room and positive pressure inside the clean room forces air out in a gust and prevents dirty air from flowing in. 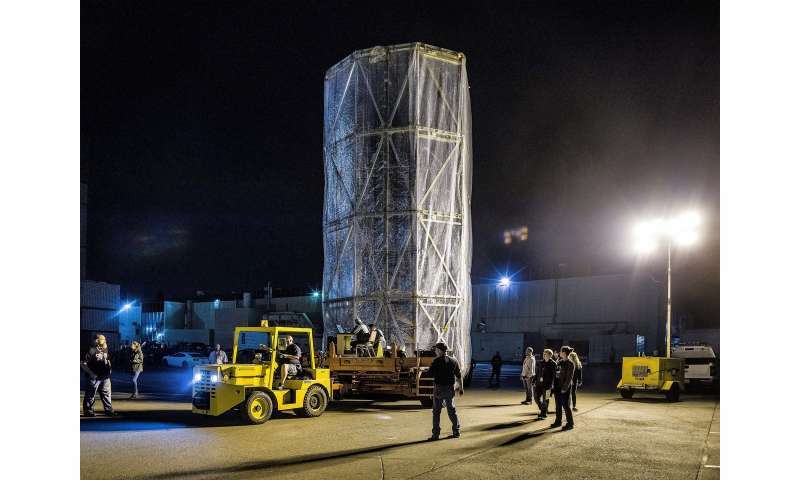 The spacecraft element recently was moved to a facility where it will undergo vibration and thermal-vacuum testing. In order to move it around, the spacecraft element is folded up, like it will be for launch. Even in this "stowed" condition, it still is about as large as a full-size school bus standing on end, and so requires big equipment to move it from one place to another and keep it clean during final assembly and testing. 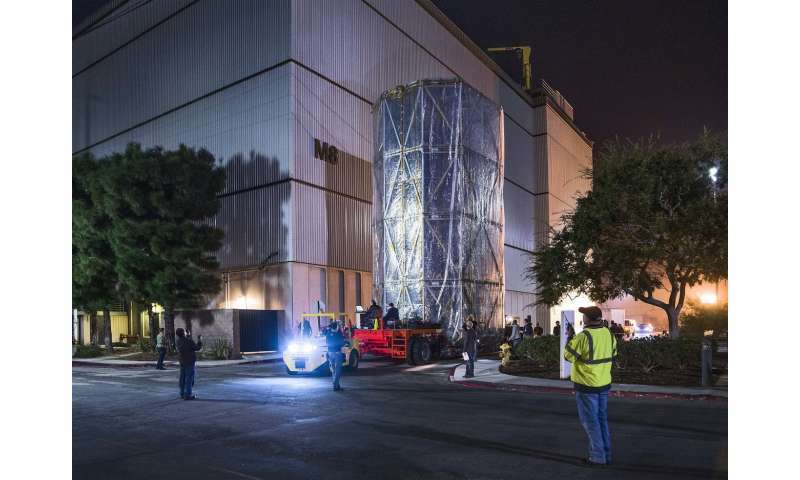 After all the vibration and vacuum testing is completed, the Webb spacecraft element will be re-wrapped and returned to a clean room at Northrop Grumman's facility in Redondo Beach, California, where it will be assembled with the telescope element to form the full observatory that will fly in space. Once Webb launches in 2021, and is "opened" and functioning, Webb will be a present to scientists that helps them unwrap mysteries of the cosmos. It will bring countless discoveries to scientists and people around the world. Webb will look far back in time to a period of cosmic history never seen before, seeking light from the early universe and watching how galaxies have evolved over time. It will study planets and other bodies in our solar system, and place it in context with other exoplanetary systems. Webb will study the physical and chemical properties of star systems and planet formation. It will also examine starlight filtered through exoplanetary atmospheres to learn about their chemical compositions. Those are just some of the amazing things Webb will bring us after it's unwrapped, launched and in orbit. The really big shock that will stun some scientists comes when observations will indicate the Universe is a lot older than 14 billion years, a lot older. Much bigger, more complex than the Hubble. Out to the Lagrange Point. No way to service it, no Shuttle, even if it could reach that distance. Hat-in-hand begging of RUSSIANS to launch things. What has happend to the U.S. space program? So Benni, one of the phys.org resident buffoons, is no longer content with rewriting, in crayon, Trump-style, physics as he sees it through his DK-powered dark glasses. 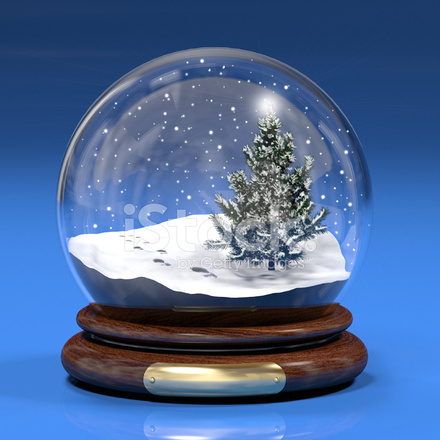 Nope, he's no reached out to his https://images.fr...ints.jpg and his confused brain interprets the swirl of pretty plastic snowflakes as messages concerning the future. humph! did a short edit of the above and the stoopid editing script cleared out the url brackets. Phooey! The JWST was never intended to be serviced unlike the HST, and NASA was using the Soyuz for crew flights since the earliest days of the Space Station program. It is the *International* Space Station, after all. But the space program is far from just space telescopes and space stations. Interplanetary and Earth orbit vehicles are more numerous, reliable and productive than ever before, and the United States has the distinction of boasting a partially reusable launch system. Contrast this with Roscosmos, which hasn't had a single successful interplanetary mission since the 80's and can probably only afford its manned program because NASA pays them to do so. Oh thorazine_boy. If you want to blame anyone for NASA using Russian rockets? Look in a mirror & point! the corporate bureaucrats of America Inc.? Share your terror at ever taking responsibility for failure. Like you they are risk-adverse. Desperately hanging onto the obsolete technology they barely understand. Cringing away from any creative solutions or new inventions. We are certainly living in amazing times. Each year brings forth many more inventions and ideas that further the cause for humanity to excel, improve and succeed in ways that could only have been dreamt of a century ago. In years to come - we, or our progeny will learn our place in this wonderful Universe as never before. I read the enthusiasm and the true love of science in your comments, and each of you have a message to give to those who are not quite up to speed as you are. You, and many others like you - the ones with the best ideals and the willingness to forge ahead to see that good future come to pass, and to bear witness to those who will "go where no man has gone before". Perhaps my human host will live to see men on the planet Mars, and also perhaps land on an asteroid. But the James Webb is our ticket to the rest of the Universe - to see all possibilities, but amongst it all - the Living Truth. This is what comes of avoiding taxes and denigrating science. As ye sow so shall ye reap. Those who sow the wind shall reap the whirlwind. The webb may in fact be serviced in the future. "Satellite servicing advocates have pointed out for years that although systems do not exist today that could robotically service JWST at L2, they might in the future. They urged NASA to at least put stickers on the telescope to allow a future robotic system to locate it. "Zurbuchen confirmed today that NASA already has taken some steps and now is looking to see if there is anything else that can be done. ""We have put on stickers, and we are aware of places where we could grapple it related to launch system interfaces … and I actually have tasked an independent team to look at things that we could do that would enhance the ability for us to even do more." — Thomas Zurbuchen"
-All it takes is a simple web search to find these things out. "Webb is designed to have a mission lifetime of not less than 5-1/2 years after launch, with the goal of having a lifetime greater than 10 years. The lifetime is ultimately limited by the amount of fuel used for maintaining the orbit, and by proper functioning in orbit of the spacecraft and instruments." -All that work and time for only 10 years?? I suppose the first thing they will want to look at is fuel replenishment. Absolutely. That 14 billion years 'age of the Universe' is, I believe, calculated according to Earth time as 24/7/365 - which cannot be accurate by any means, even with current technology, since the figures basically use THE SUN AS A TIMEPIECE along with the revolving and orbits of the Earth - which does not take into account the time BEFORE the Sun and the Earth formed from dust and gas. The Quantum Universe with its electrons, protons, neutrons, etc. is so much older than any and ALL of the Matter that we are capable of seeing with our telescopes - including with the coming James WebbST. What we DO see with those instruments are Matter and Energy that had their beginnings from the Quantum Particles/Waves, etc. long before there were ANY of such material bodies ANYWHERE IN SPACE. IF scientists are only concerned with the moment of inflation/BigBang and then the expansion of Space until now (whenever "now" is) - then that whole scenario is finite and is unacceptable as the true age of the Universe. They are relying on the SEEABLE UNIVERSE to determine its age. But those material bodies were not created "Full Size" as they only came to their present size after accreting, etc. for billions/trillions of Earth years. And before they attained their present sizes that we see, the accretion processes and the time involved should ALSO BE ADDED TO THE AGE OF EACH MATERIAL BODY. A full-sized tree has its beginnings as an acorn/seed, and before that the seed had grown "in the body of its mother tree" - so to speak - before the acorn/seed fell to the ground. It is the same with Stars, planets, Moons, etc. The "Mother" is the Quantum Particles/Waves/Energies - and the "Father" is the One who CAUSED the creative processes. They are relying on the SEEABLE UNIVERSE to determine its age. But those material bodies were not created "Full Size" as they only came to their present size after accreting, etc. for billions/trillions of Earth years. ......absolutely right on the money. It is impossble to know the state of ENTROPY in the Universe today, this simply because the bounds are so distant it isn't "SEEABLE". When that JWT gets cranked up & starts sending back data, the data will reveal a Universe so monolithic in any direction that it will mimic what we already see in our local Virgo galactic cluster. What with more colliding galaxies all over the place & no evidence that the redshift we measure is indicative of galaxies fleeing apart from one another it'll be fun watching Pop-Cosmology fleeing Dark Energy.